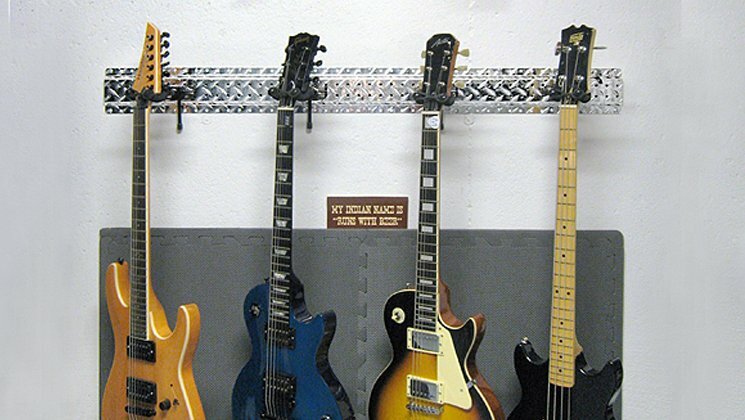 Heavy Duty hanger for holding guitars. Easily removable and repositionable. Head rotates 180° for hanging guitars straight or at an angle. Our guitar hanger is made from tough powder coated steel with an added soft foam cushion to protect delicate finishes around the guitar neck. 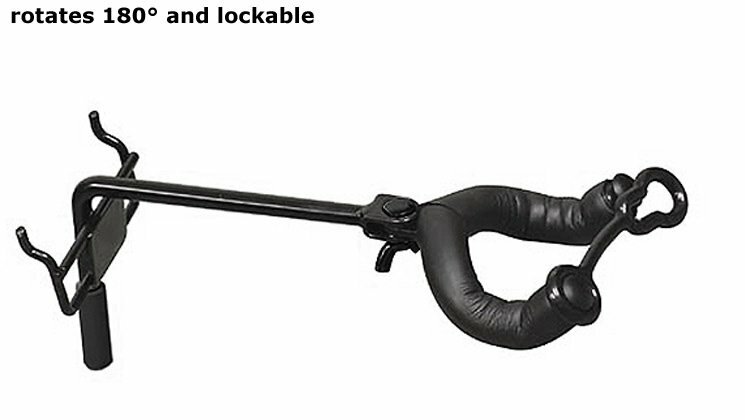 Locking strap secures your guitar safely. 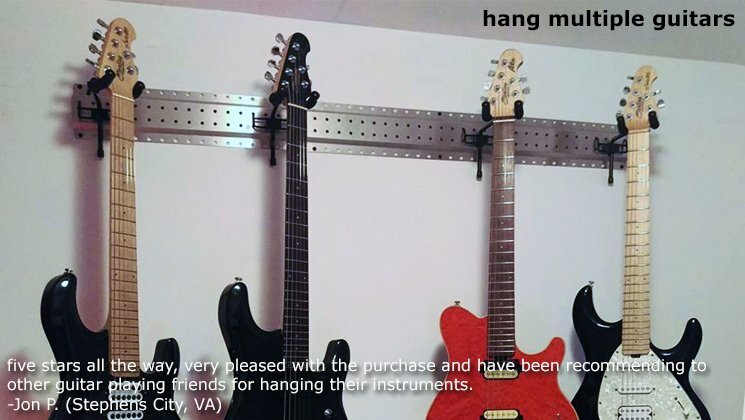 The guitar hanger works perfectly with our PegBoard MX™ Strip. Remember that our guitar hanger is standard size and therefore will fit other manufacturer's peg board. During the process of building my own studio, The Hideout Recording Studio (www.hideoutlv.com), my wiring installer, Zack Fagan from Under the Wire (www.underthewire.tv), suggested I look at diamondLife gear to clean up and organize my guitar tech room. After checking the diamondLife products out online, I immediately put my order in. The diamondLife guitar hanger not only allows me to solidly hang many guitars on the wall in a small area, it also really looks fantastic and matches the decor in my studio. I would suggest all diamondLife products for anyone who values functionality, quality and aesthetics. We'll cut it for $10!